The Karl G. Jansky Lectureship is an honor established by the trustees of Associated Universities, Inc., to recognize outstanding contributions to the advancement of radio astronomy. First awarded in 1966, it is named in honor of the man who, in 1932, first detected radio waves from a cosmic source. 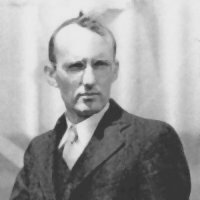 Karl Jansky's discovery of radio waves from the central region of our Milky Way Galaxy started the science of radio astronomy. The recipient of this award will present the annual Karl G. Jansky Lecture in Charlottesville, Virginia and in Socorro, New Mexico. The public lecture will be astronomical in nature. Professional astronomical symposia in NRAO facilities will be conducted prior to the evening lectures. More detailed information about the nomination process can be found by viewing the Jansky Lectureship Charter. The recipients of the Karl G. Jansky Lectureship, their award year, institutional affiliations, and lecture titles, are listed below. How Strange the Violent Universe? What Shape Galaxies, Pancakes or Potatoes?